ANSI / SPRI / FM 4435 / ES-1, the Wind Design Standard for Edge Systems Used with Low-Slope Roofing Systems, was the result of collaboration between SPRI and FM Global to address a need for a universal test standard and establish a reference for designers, specifiers, and installers of edge materials used with low-slope roofing systems. FM Global and SPRI worked together to canvass the document through the American National Standards Institute (ANSI) canvass approval process. Intertek has created an informational bulletin providing answers to many of the frequently asked questions about ANSI / SPRI/ FM / ES-1. Low- slope roofs are defined as those with a slope less than or equal to 9.5° (2:12) and this method is applicable specifically to roof edge systems and components, which can include membrane terminations, such as edge flashings or gravel stops, fascias, and copings. Developed in 1998, and most recently updated in January of 2017, the ES-1 method is comprised of three independent tests applicable to each of the different types of roof edge systems: RE-1, RE-2, and RE-3. 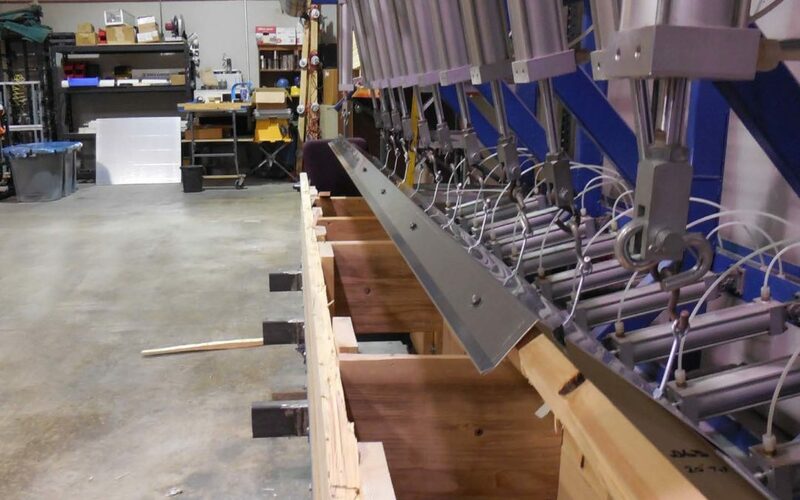 RE-2, the Pull-Off Test for Edge Flashings, is utilized to evaluate roof edge systems for which the exposed horizontal component is 4 inches or less (e.g. facias). RE-3, the Pull-Off Test for Copings, is utilized to evaluate roof edge systems for which the exposed horizontal component is greater than 4 inches (e.g. copings). *Source: ANSI / SPRI / FM 4435 / ES-1. How is the testing conducted? Download the full informational bulletin to get the answers to these frequently asked questions about ES-1.